The next In the Groove Music Quiz takes place on Thursday 5th June 2014. 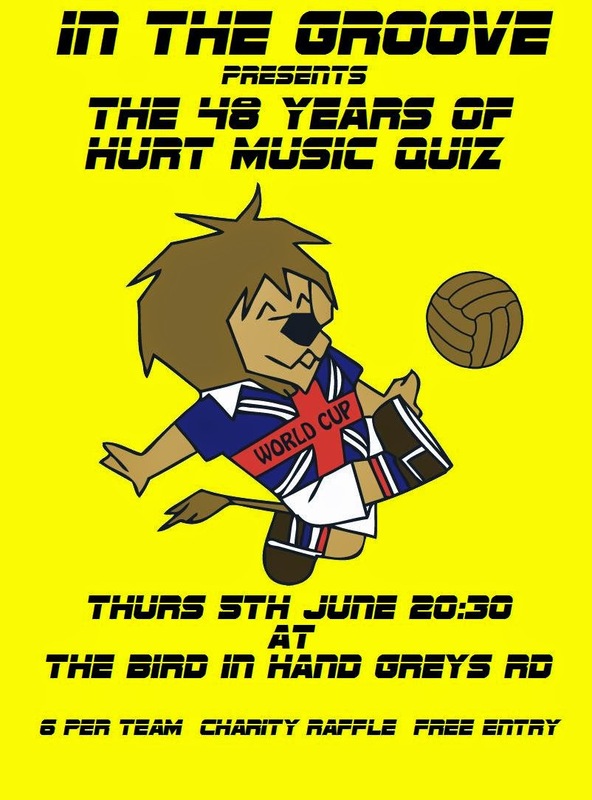 We will be whipping up some World Cup fever with our 48 years of hurt quiz. So you may have to listen to the unlistenable and revise those England World Cup songs.